Disclaimer: I was provided with products for review in exchange for my honest opinions. Your views may differ. Thank you! Made without GMOs, no-added sugar, organic salsas with fresh grown ingredients with love and commitment to bringing you the best they can! Naked Infusions has some of the strangest blends of flavors that I have ever heard of but, amazingly, they ALL work so wonderfully well! I was very dubious about the Oaxaca White Chocolate but I gave it a go anyway and I absolutely love its subtle flavors and its kick! My favorite is the Signature Ripe Tomato in the spiciest heat they have available, which is super hot and just takes a touch to really set your mouth on fire, which I LOVE so much when hitting the spicy food! 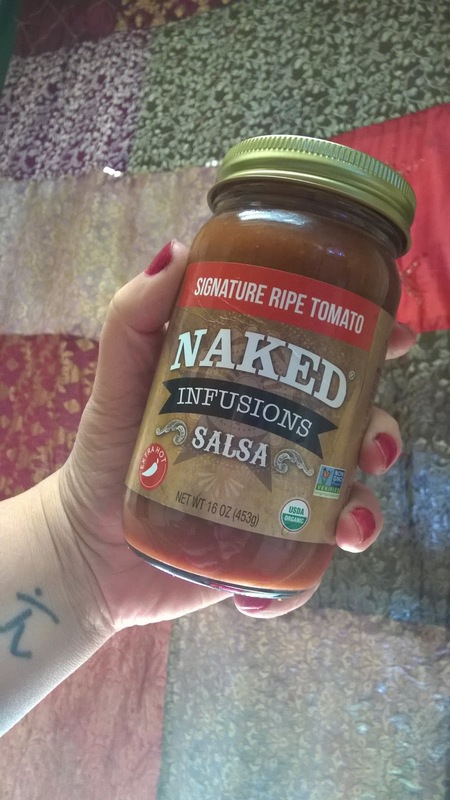 It is actually one of the nicest, spiciest salsas that I've tried and I could honestly use it on anything and in anything, too! I did use a jar of the mild Signature Ripe Tomato salsa in my crock pot with some chicken and it gave it the zing i was looking for without overpowering the dish, and was perfect for the people in my home who aren't too keen on the spicy foods, but like flavor! 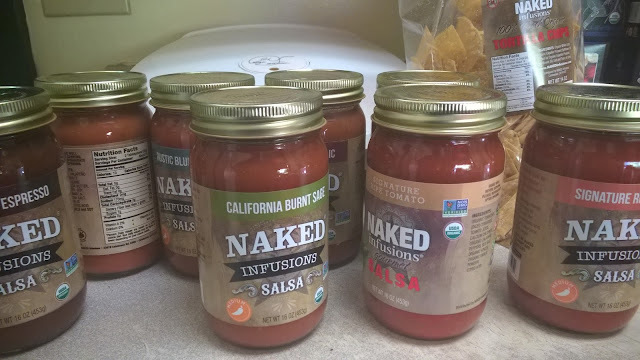 You can use these salsas to cook, dip, spread and more! The flavors really bring something new to the table that you won't find anywhere else and no one will be expecting you to bring salsa when you tell them you'll be bringing the Black Silk Espresso, which, by the way, is delicious on chips! I could use these all day on my foods, I cant get enough! I even put them in my egg breakfast sandwiches, which you can find, here! For more information on Naked Infusions, you can visit their website, Twitter and across social media. They have plenty of flavor and something to bring to every table - recipes, too! Perfect for entertaining this holiday season, and even better for gifting! That is why they are in our Holiday Gift Guide, because who wouldn't love some Naked Infusions this Christmas! Follow my gift guide across social media with #mgbhgg and the tab, above for more ideas! 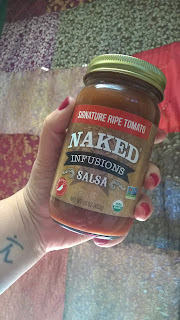 Why not check out Naked Infusions for yourselves and let me know what you think, too! I love hearing from you!